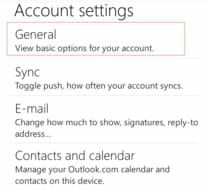 Tap on the Menu button (3 vertical dots) > Settings. Tap on "Enable application lock". 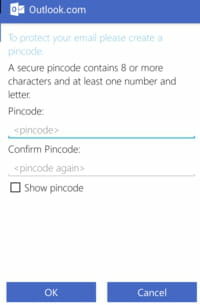 Enter the pin code and confirm. Published by deri58. Latest update on September 29, 2014 at 10:03 AM by deri58. 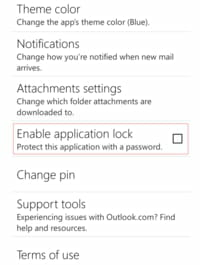 This document, titled "Outlook.com for Android - Enable password protection," is available under the Creative Commons license. Any copy, reuse, or modification of the content should be sufficiently credited to CCM (https://ccm.net/).